Irvine Nail Salon with 5 star treatment! Nail Salon that offers the very best! 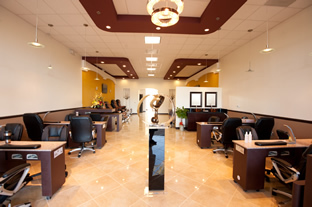 Essence Nail Studio of Irvine, CA delivers exceptional experience from our most relaxing and luxurious treatments. Our staff are professionally trained and licensed to provide you the best treatment while you wait. Other than shaping and cleansing, our nail treatments include massage, cuticle care, buff, and polish. We believe in absolute hygiene and never reuse or sanitized our implements, files, spa liners, pumices, and buffers in accordance with the California State Board regulations. The best a Nail Salon has to offers! Essence Nail Studio of Irvine, CA offers full nail and waxing service to give you with luxurious and memorable experience. Our amenities are designed with your absolute comfort in mind. Our goal is to provide you with unmatched 5 Star experience. Make Essence Nail Studio your destination for beauty, or relaxation and let us pamper you if you want to break from your busy day. At Essence Nail Studio of Irvine, CA, you are guaranteed to receive the royal treatment you deserve, and you will leave feeling invigorated, and beautiful. We offer top of the line services including facial, manicure, pedicure and facial using only the best products expertly tailored to your needs. Our goal is to provide excellent and expert service to cater to the specific needs of our client’s. 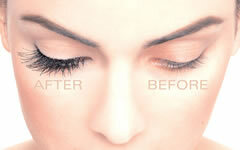 Contact us at 949-625-1574 today and we will make you feel refreshed and rejuvenated.